The Seine River tells many stories as it snakes along from Paris to the Normandy coast. 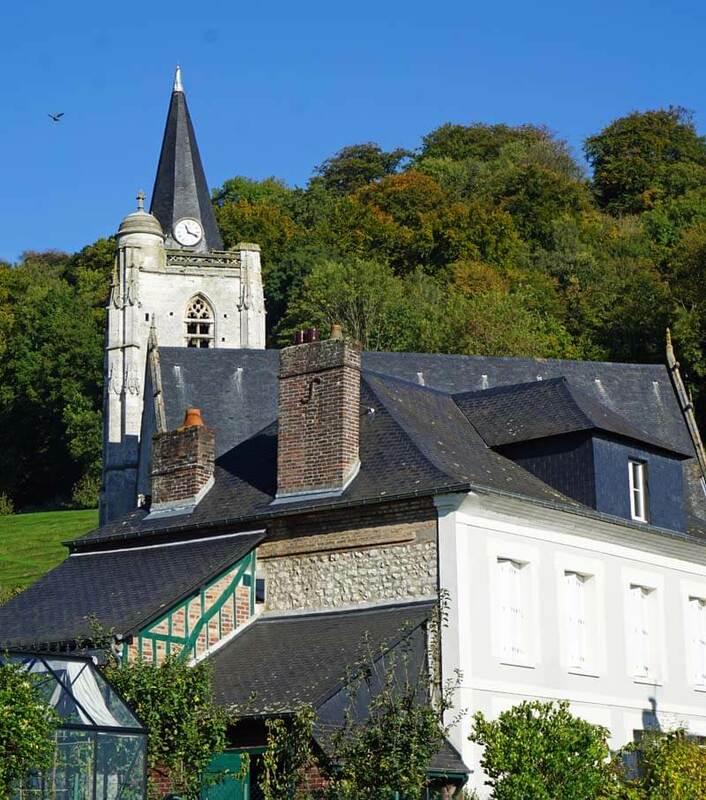 One such story is told in the quiet little village of Villequier. 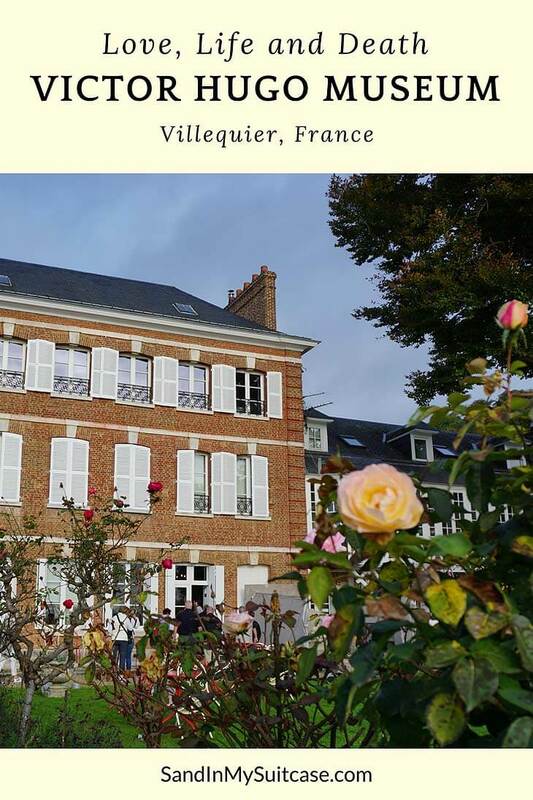 In Villequier, you find the elegant mansion of the Vacqueries, a rich ship-owning family from Le Havre. They were friends of Victor Hugo, the famous French author. 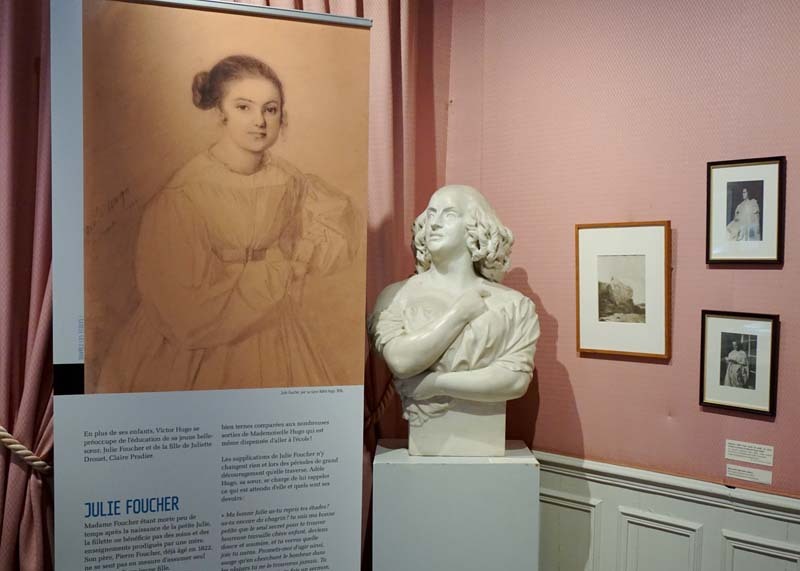 Their former holiday home is now the Victor Hugo Museum, and it illustrates the life of Leopoldine Hugo, the writer’s daughter, who was married to Charles Vacqueries. Theirs was an idyllic but tragically short life; she and her young husband drowned in 1843 just six months after their wedding. 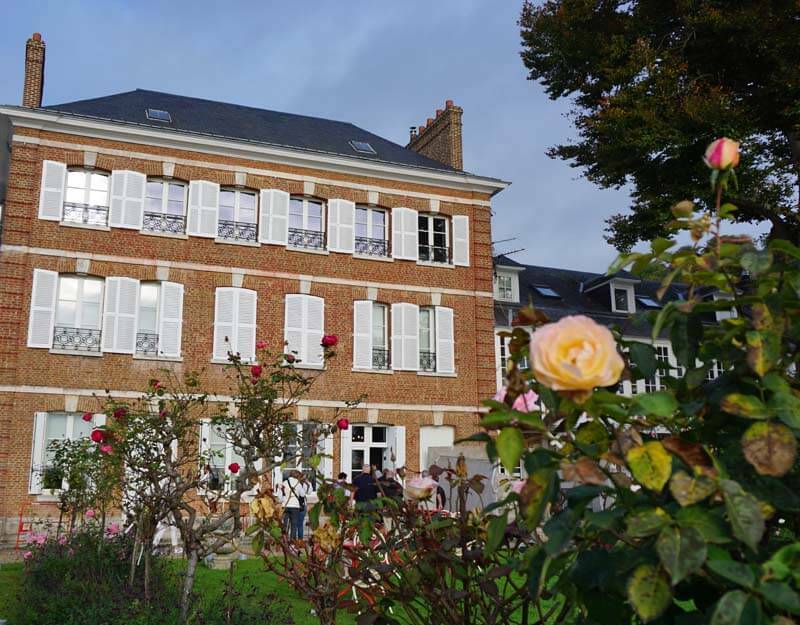 The Victor Hugo Museum also celebrates the work of Victor Hugo himself, as well as his life, loves and family – you see drawings by Victor, some of his great books, photos and period furniture. 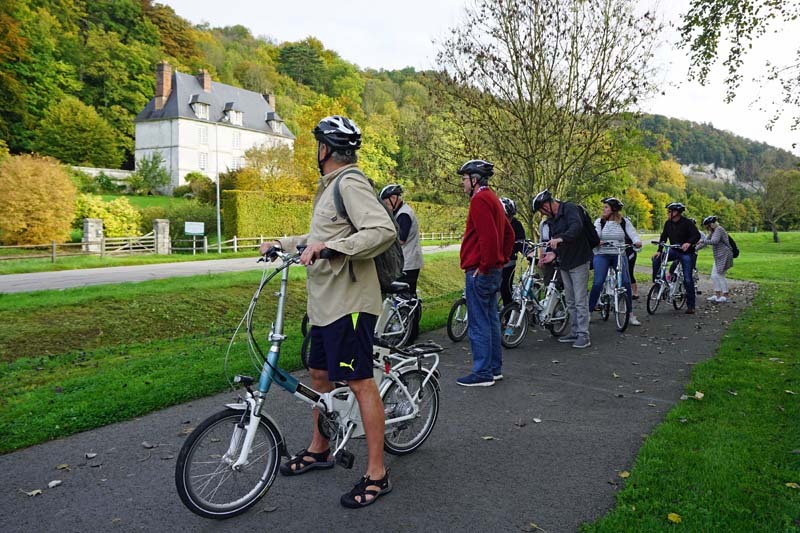 We visited the Victor Hugo Museum on a Seine River cruise with Scenic Cruises – bicycling there on fun e-bikes. You may read more about this charming museum in France in our recently published NUVOmagazine.com article (link at the end of this post). Discover Normandy’s historic riches on a deluxe river cruise – read all about it here! You can also get a glimpse of Victor Hugo’s complicated life through our photos of the Victor Hugo Museum, shown below. Born in 1802, Victor Hugo is most well-known for his novels, Les Miserables (1862) and The Hunchback of Notre-Dame (1831). As a teenager, Victor fell in love with Adele Julie Foucher and married her in 1822. They had four children, and despite both of them having affairs, their marriage lasted. 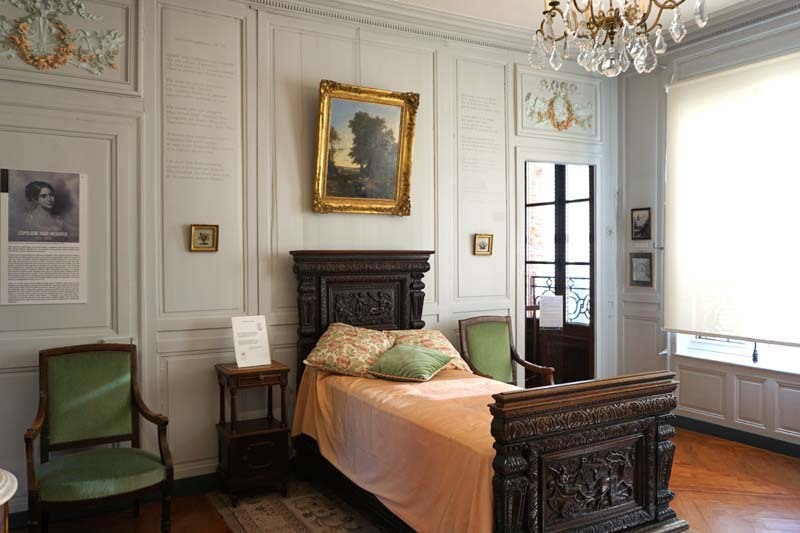 There are about a dozen rooms in the Victor Hugo Museum, with artifacts, prints and photographs. It helps if you understand a little French, as most everything (signage, interpretive descriptions, etc.) is in French. We had an English-speaking guide who accompanied us from our river ship (the Scenic Gem), and she was able to bring the place to life for us. 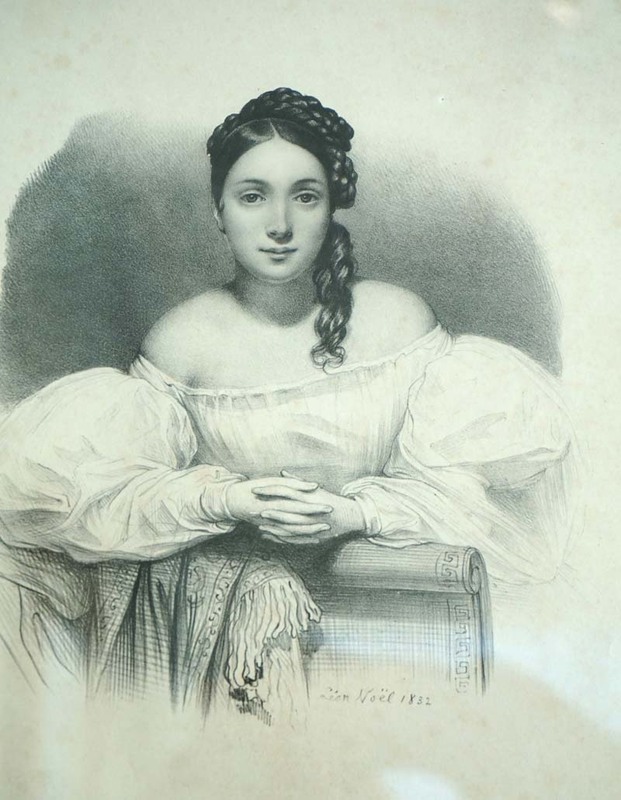 Leopoldine Hugo was Victor and Adele’s eldest daughter. She was only 19 and pregnant when she died. She and her husband Charles were out sailing on the Seine when their boat capsized. He drowned trying to save her, diving down and swimming underneath the boat six times in an effort to rescue her. 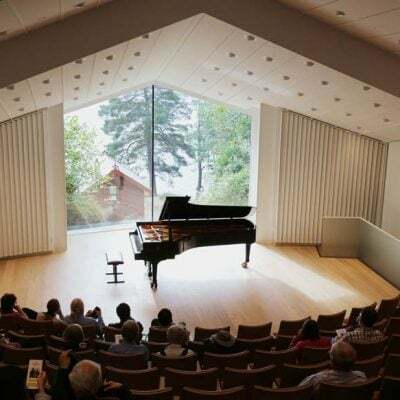 We like the high ceiling in this room! But the bed looks a bit narrow for our tastes :-). And who is this pretty lady? 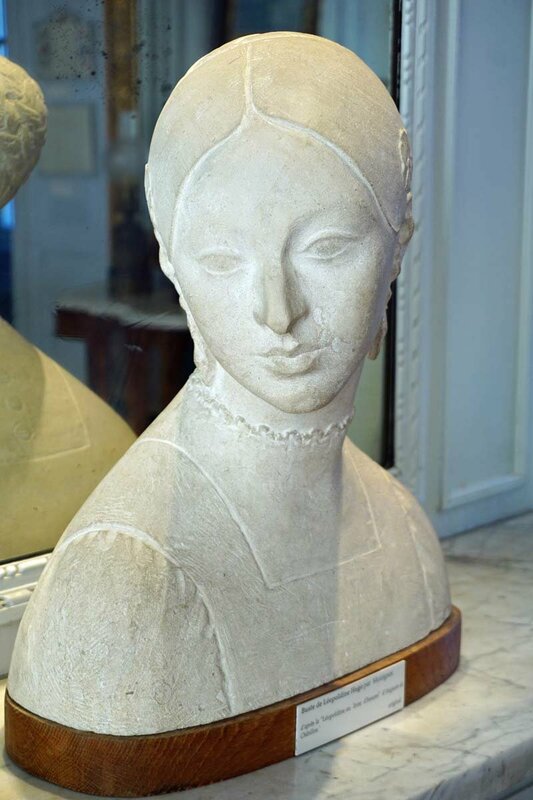 She is Juliette Drouet, Victor Hugo’s mistress. A French actress, she and Victor began their affair after she performed in one of Hugo’s plays, Lucrezia Borgia. They remained lovers for 50 years until her death in 1883. 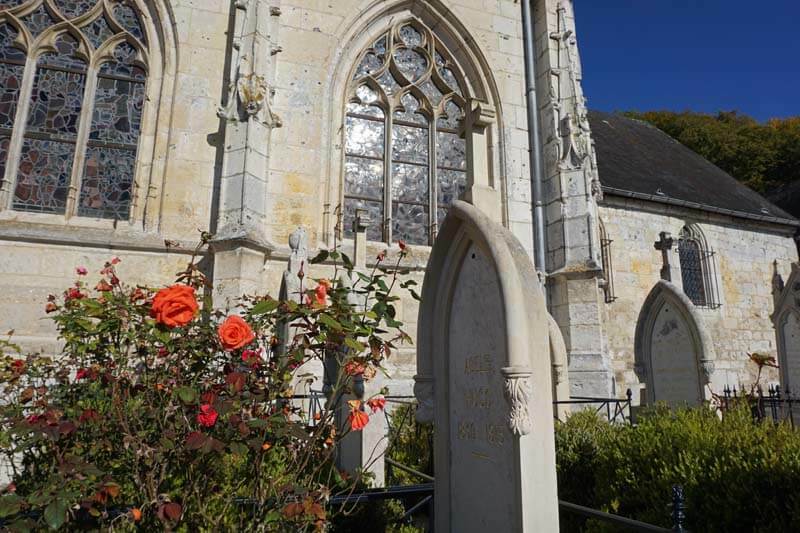 Victor’s wife Adele, along with Leopoldine, her husband Charles and two uncles are all buried in the cemetery of Villequier. Victor was buried at the Pantheon in Paris. Parles-vous Francais? 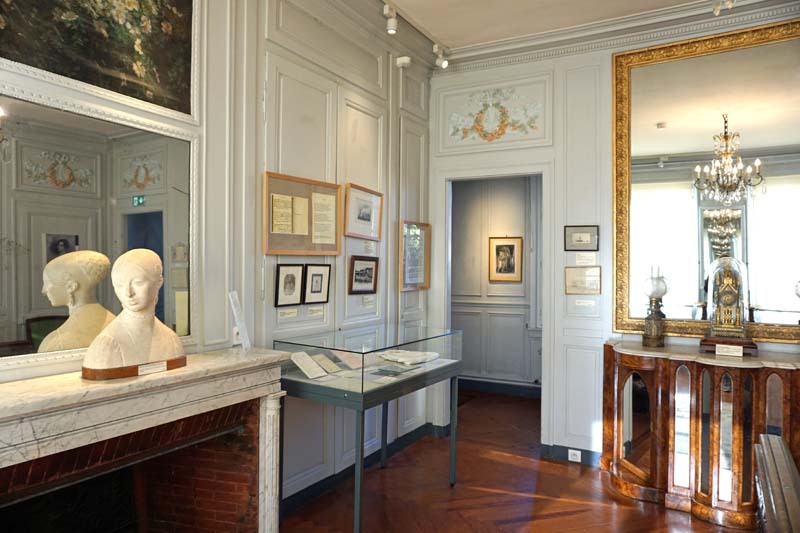 Then check out the Victor Hugo Museum website. See “The Victor Hugo Museum, Villequier: Romance, Tragedy and Revolution,” published December 26, 2017 in NUVOmagazine.com. What an interesting story. 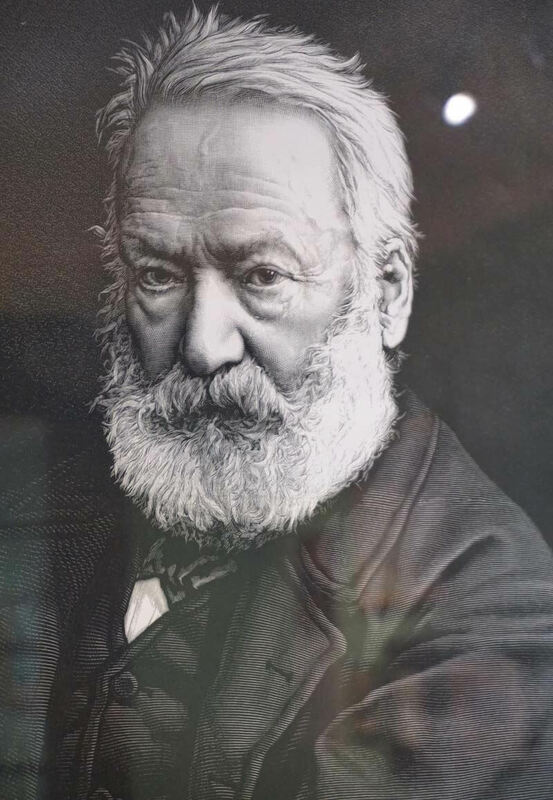 Of course, we all know a little about Victor Hugo, but we never seem to know enough! It would have been interesting to learn more about the Hugo family! Great post! It was very interesting! We knew very little about the man before bicycling to the museum, apart from his two famous novels. 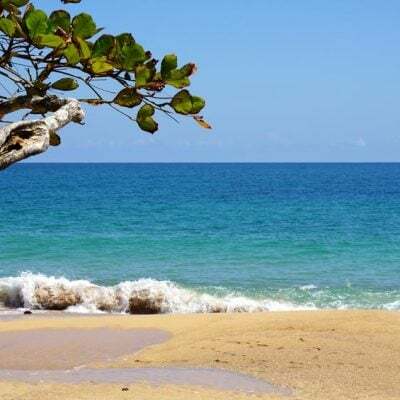 It was especially sad to learn though that he only found out about his daughter’s death when reading a newspaper while traveling with his mistress. Quite a sad story, but a lovely museum. I always wanted to do a river cruise in Europe, maybe I should try the Seine River cruise. 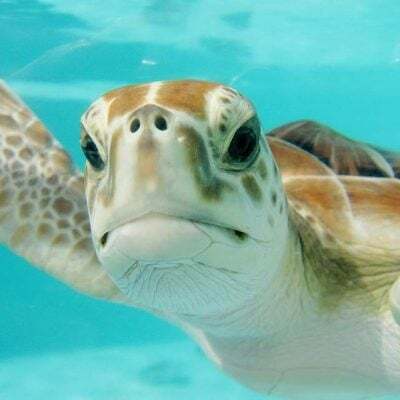 It seems they have some very nice shore trips. This Seine River cruise is a very culturally-rich experience. Other European river cruises may be just as culture-intense. We were just (pleasantly!) surprised at how historic Normandy is… We can definitely recommend it! Yes, a very scenic Scenic cruise :-).